Michael Collins Pipes & Drums, was founded on June 29, 1996 by several talented musicians from the Denver area with a love of Irish music, including Jay Leasure, Jim McQuiston, and David Bonham. 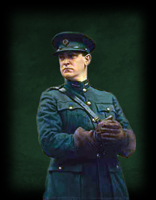 The band chose its name to honor both Michael Collins, who is regarded as the father of the Irish Republic; as well as its primary patron, the Denver-based, Michael Collins Division of the Ancient Order of Hibernians. The band considers it a great honor to carry the name of Michael Collins. 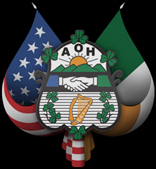 The band's connection with Michael Collins and the AOH assures close ties with Colorado's Irish community and in turn, close ties with the tradition of playing Irish pipe music. The band's mission includes a promise to avoid political discord, discrimination, or exclusion of anyone on the basis of religion, political or social ideology, or ethnic heritage. With an objective of continuing to learn and play great Celtic music while entertaining the public, MCPB is about having fun. MCPB was initially conceived as a small pub band, existing simply to have fun; however, as the band grew so did its reputation. In less than two years, the band grew to 30 musicians, elevated the small pub band into a competitive pipe & drum band that was awarded the Hibernians of the year award from the Michael Collins Division of the AOH and competed in their first Highland games. From these humble beginnings, Michael Collins Pipes & Drums has gone on to win numerous medals at regional Highland Games as a Grade IV member of the Western United States Pipe Band Association; numerous first place showings at various regional parades; and many other honors, such as: leading the Denver St Patrick's Day Parade; playing with the Jefferson County Symphony in concert, hosting the Kansas City Irish Festival; opening Seven Nations. Official Pipe Band of the 53rd Annual Denver Denver St. Patrick's Parade! Official Pipe Band of the 52nd Annual Denver St. Patrick's Parade! Official Pipe Band of the 51st Annual Denver Denver St. Patrick's Parade! Official Pipe Band of the 51st Annual Denver St. Patrick's Parade! Official Pipe Band of the 51st Annual Denver St. Patrick's Parade and the first pipe band to lead the parade. The Official Pipe Band of the 50th Annual Denver St. Patrick's Parade and the first pipe band to lead the parade.